My curiosity brought me to Singapore Botanic Gardens but it is not to admire the scenic beauty of the UNESCO World Heritage Site. I heard that there is a food court at the park. The food court is run by Food Canopy and there are 7 stalls in it. What caught my attention is Di Wei Teo Chew Restaurant. I am surprise to find a stall selling Teochew cuisine in a food court. 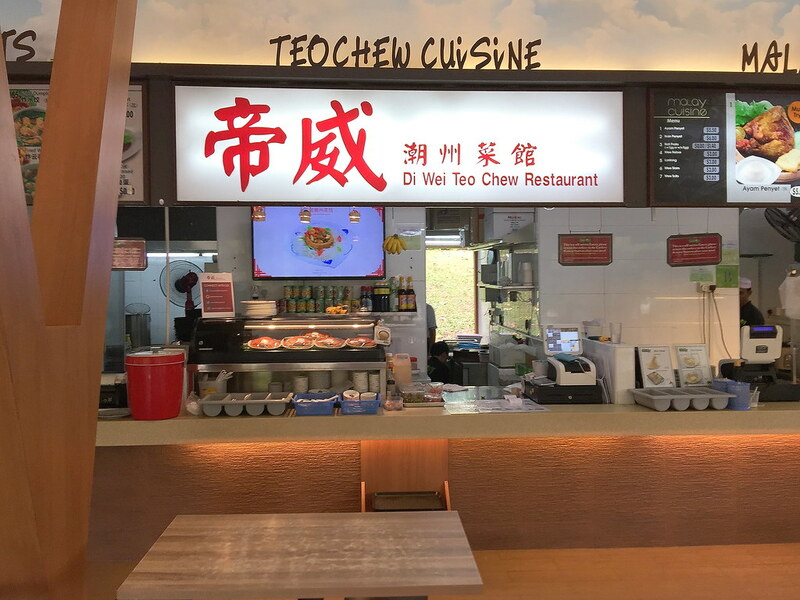 According to the information online, the restaurant is helmed by Head Chef Chew which has 30 years of experience servicing classic favourites prepared using time honoured recipes that has been handed down through generations. After browsing through the 43 items on the menu, I decided to order some staple Teochew food items. We started with the Cai Po Kway Teow ($7 for 2 pax). 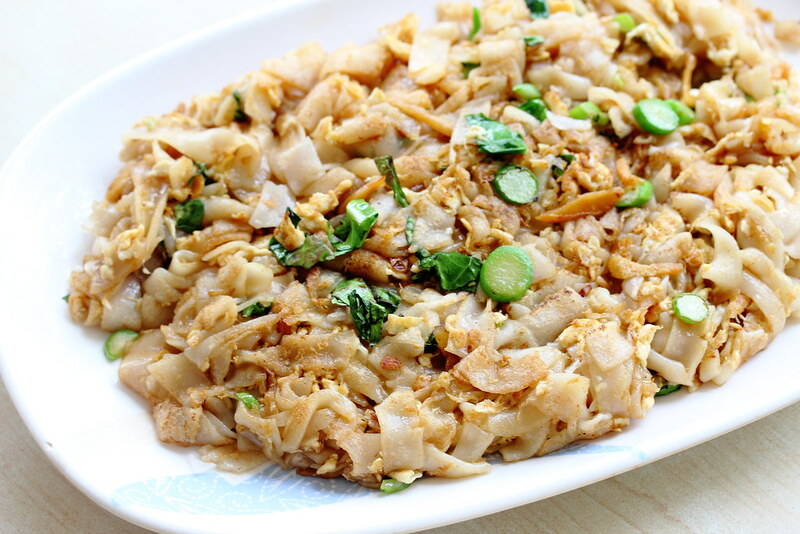 I have tried the dish before but the chye poh or Chinese dried radish are usually not noticeable. The rendition here comes with crunchy chye poh that is cut into short strips which is well infused with the wok hei smokiness. Sliced to generous thin slices, the Braised Duck ($10 small) was tender and well infused with the fragrant braising sauce. It is not overly sweet and comes with a subtle aroma of the spices. 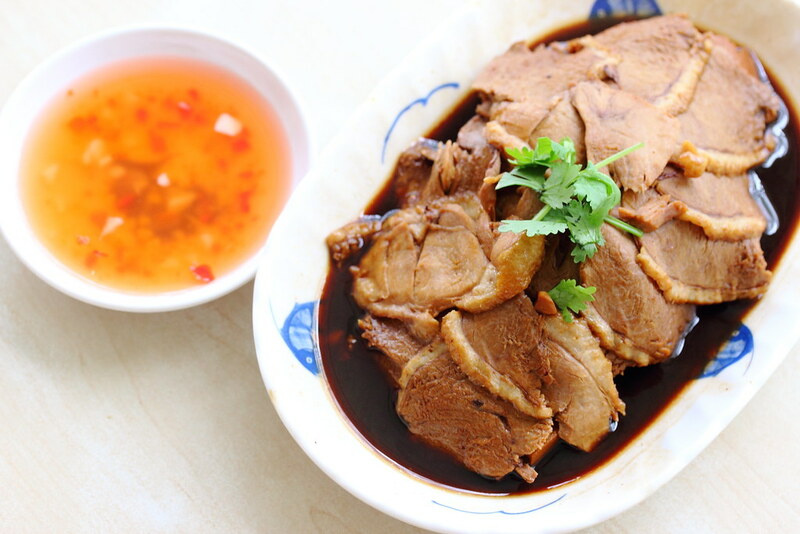 Dip the duck meat with the accompanying sweet and tangy dipping sauce for an elevated enjoyment of the duck meat. 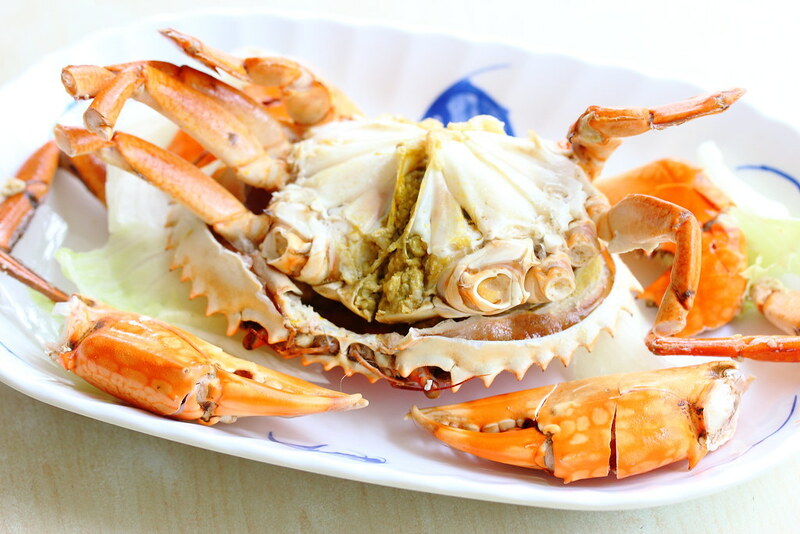 I thought we can only eat Cold Crab (seasonal price) in restaurant but I am surprise to be able to have it in a food court. 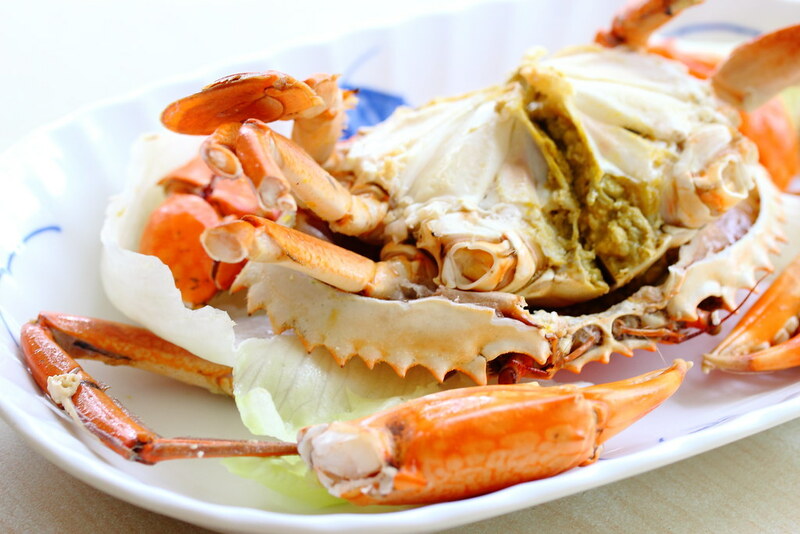 I paid around $24 for quite a reasonable size crab which was sweet and meaty with a lot of roes.